It’s the weekend, so why not take some time out to catch up on our features this week. We also wanted to remind you not to miss Careercake’s event on 14 June. Read more here! This week’s Thursday’s question was: Do you have job interview coming up? Preparing some well researched questions for the panel can potentially tip the job in your favour. Anyone had experience of this recently? Let us know. Harriet Green, the Thomas Cook CEO has boosted share prices by 950% and turned around a failing company. The weekend is upon us! 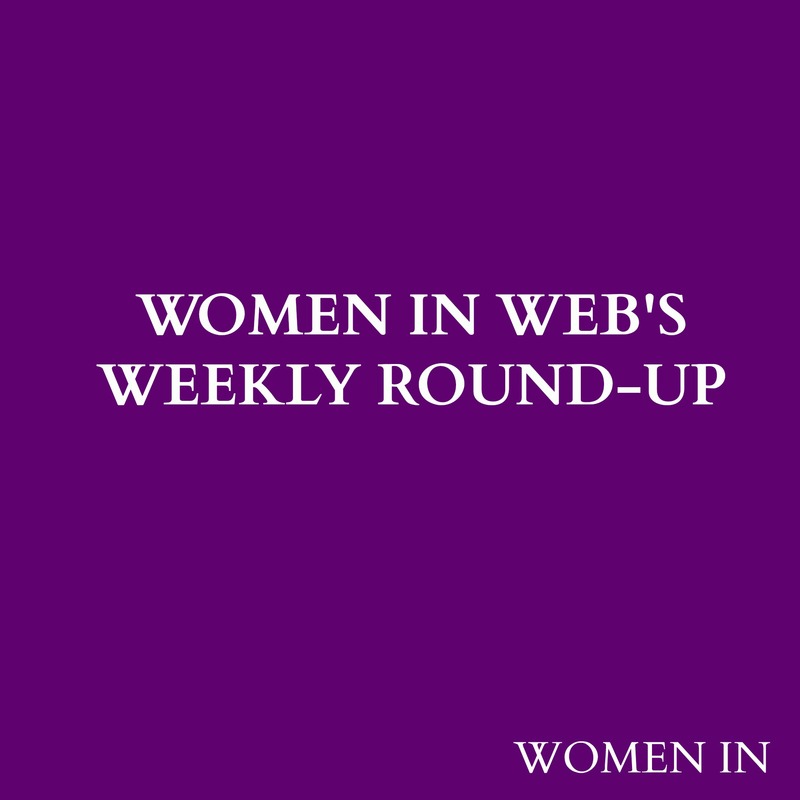 So we have pulled together what’s been featured on Women in Web this week. We hope you enjoy our features and we really welcome your comments on our features. The first Q&A this week was with Aimee Bateman, founder of Careercake.com. Aimee has held senior positions with some of the largest recruitment companies, helped thousands of people achieve their career goals and sourced talent for global corporations as well as smaller entrepreneurial businesses. Read more about her journey here. This week’s question is: When did you last up date your skills audit? You’d be suprised what new skills you’ll have gathered. Do you include skills from any volunteer work you may do? An inspiring video featuring WomenOne CEO Dayle Haddon and how she is working with the Girl Scouts. New Bentley University research shows who is climbing the career ladder. #ThisBook Campaign Highlights Books Written By Women – What’s Your Favourite? Over the last decade, Aimee Bateman has held senior positions with some of the largest recruitment companies, helped thousands of people achieve their career goals and sourced talent for global corporations as well as smaller entrepreneurial businesses. In 2011, Aimee created Careercake.com. Along with winning the 2013 Institute of Directors (IoD) Talent and Innovation Award in Wales, she was recently awarded the Canmol (Chartered Institute of Marketing) Marketer of the Year Award. She has also been voted one of 2013′s Rising Stars by Business Insider Magazine. 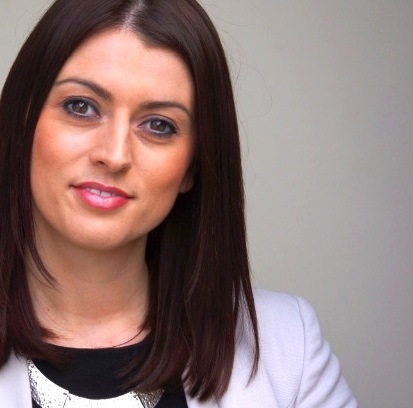 Aimee was also a finalist for the prestigious Shell Live Wire Young Entrepreneur of the Year 2007 at the age of 26, became a Welsh Government ambassador for the ‘Dynamo’ programme. Aimee is also the featured careers mentor on various shows for BBC One, BBC Two, BBC Learning and BBC Three, I have written careers articles for The Guardian, TotalJobs.com, The Undercover Recruiter and more. My advice has been featured in The Independent, Glamour Magazine, The Huffington Post and Jobs & Careers Magazine. Aimee delivers workshops and and key note speeches throughout the UK, is an ambassador for National Careers Week and the official careers coach for the AAT. I’ve worked as a commercial recruiter for over ten years, but as a recruiter, my purpose is to find talent for companies rather than jobs for people. Working with individuals to sell themselves proved more rewarding to me, so I left my job, bought a £25 video camera from Ebay and started making career advice videos from my living room. That was 3 years ago and I now have videos on a number of Youtube channels totally 1.7million views. I have written for Glamour, Stylist Magazine, The Guardian and Jobs and Careers magazine amongst others. I’ve also fronted a number of careers shows for the BBC and work with more than 15 Universities to prepare their graduates for the job market. How has your life experience made you the individual you are today? We all have our journey to go on. Not everyone will understand it, but they don’t need to. It’s not their journey. We just have to remember we live the life we make, not the life we are given. We decide. Why did you want to help others find their dream job? I didn’t have a huge amount of confidence growing up and it wasn’t until I joined my first company that I realised how good I could be. I saw the value I added through my work and it gave my self-esteem a huge boost. If we are happy in our work, we are happy in life. We become better friends, mothers, dads, brothers, sisters, husbands and wives. I’m not a life coach, but I believe by helping people achieve their potential in their work, I can help their overall life. To be part of that is so exciting. What have the highlights and challenges been during your time at Careercake.com? The biggest challenge was having a big voice very early on but no profile. I would make videos and write articles all day long. I would sit at my computer for 12 hours a day hustling until my eyes bled building relationships, talking to people, listening to people and responding to every email I received…even though people we not paying me for my advice. It was tough, but also the most fun part of my journey so far. I had made a conscious decision not to monetise Careercake.com for the first 6 – 8 months. This allowed me to build trust, help people and build wonderful relationships. The people who I helped then helped me. They promoted my profile for me (and still do). People need to know we really care about them before we can expect them to really care about us. What top tips can you offer to those looking for employment? Make the employer feel special. Remember you are talking to a human not a logo, so give them a real reason to believe you want to work for them. I have great systems in place, which mean my business is very lean and organised. Not like my personal life at all. I play more than I work these days and I travel a lot. I built a business model that would allow me to travel and work from anywhere. My biggest motivator is freedom, which is why my business is mostly online. The only way to be better is to surround yourself with people who are better than you. I do this everyday. I have 2 business mentors and my life is full of lighters (people who inspire and motivate me). We are who we hang with! Apart from my close girlfriends, I admire Marie Forleo, Danielle La Porte and Karren Brady.